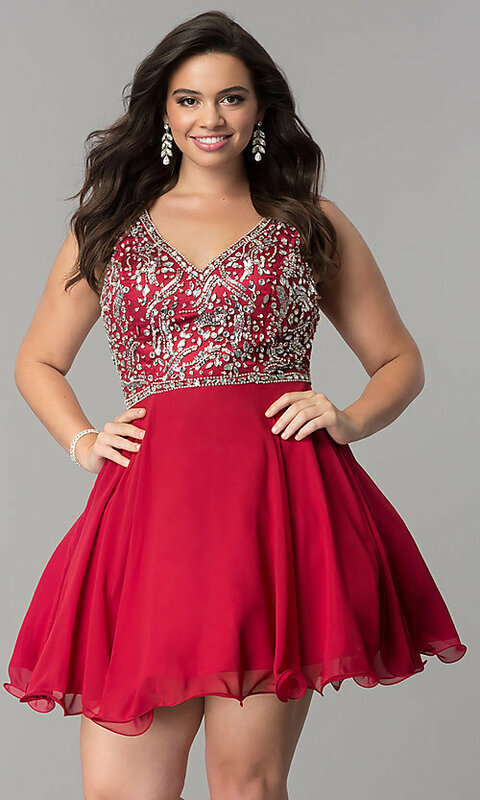 Sparkling jewels and soft chiffon make this short plus-size homecoming dress an eye-catching style for your semi-formal event. Shimmering rhinestones and sequins adorn the sleeveless bodice of the beautiful v-neck party dress. A tulle lining adds fullness to the short a-line chiffon skirt that flows away from the natural waistline to a trendy curled hem. 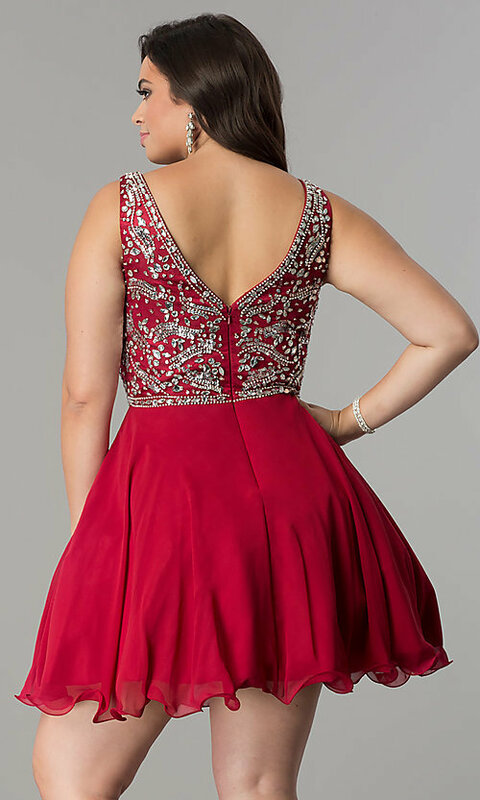 At under $150, this short plus-size homecoming dress is a lovely style for hoco 2019 and won't empty your wallet.